To start any business what needs is to zero down on the exact product one wants to give or the service one wants to provide. The best way to start identifying gaps is to think about solving your own problems. Next step to identify problems is to understand other people’s problems or problems of the community. Another great way to get a product is to look around for the trending businesses. One can even go beyond his/her neighborhood- at local or a national or even on an international level to search an idea. If that fits the surroundings, go for it. Is there enough demand for the product that was chosen? What could be the size of the pie one should eye at? Vendors are an integral part of the online business. There are several criteria to choose a vendor, like- quality, availability, timely delivery etc. As the online business is on a boom, the market is flooded with vendors, but selecting the right vendor makes all the difference. Next step is to decide on the name for the venture. An online venture needs to consider things like- how easily memorable the name is, avoiding same-sounding names, apt domain name, brand ability before deciding on the name. For an online business, a website is everything. It is like a brick-and-mortar store for a traditional business, obviously cause every business needs a place, a platform to sell. Probably it is one of the biggest expense that would be incurred for the online business. A website should have a lot of white space so that everything on it could stand out. Along with website creation, creating a ‘business logo’ is also important. A logo helps a business to get identified from the myriad of brands in the market. A logo also speaks about the brand’s philosophy, beliefs, and commitments. Shipping is one of the major functions of an E-comm business as delivering the product or the service to the customer in the stipulated time is imperative to the success of the business. If you have your own website you need to build a shipping infrastructure. One can also get shipping outsourced from a third party. It also depends on the model your E-comm business is based on. A drop-ship model doesn’t essentially need to have a shipping infrastructure as the manufacturer ships the products on your behalf. Social media- Social media is very prominent today. People of every age group have a good exposure to social media like- Facebook, Twitter, Instagram etc. Being on social media is very important to create your presence. SEO: A major part of digital marketing is SEO (Search Engine Optimization). In order to get traffic to convert into revenue, the content on your website should be indexed and ranked well on browsers. Search Engine Optimization helps in optimizing your content and indexing and ranking it better. PPC: Pay Per Click is another internet advertising model in which an advertiser pays the publisher when an ad is clicked. The traffic is directed to the website once an ad is clicked. SEM: Search Engine Marketing is a type of paid advertising which promotes websites by increasing their visibility in search engine results. Email Marketing: Email is one of the oldest communication techniques and today it is efficiently and effectively deployed as a digital marketing tool. It is a highly personalized way of marketing as it reaches out to individuals. 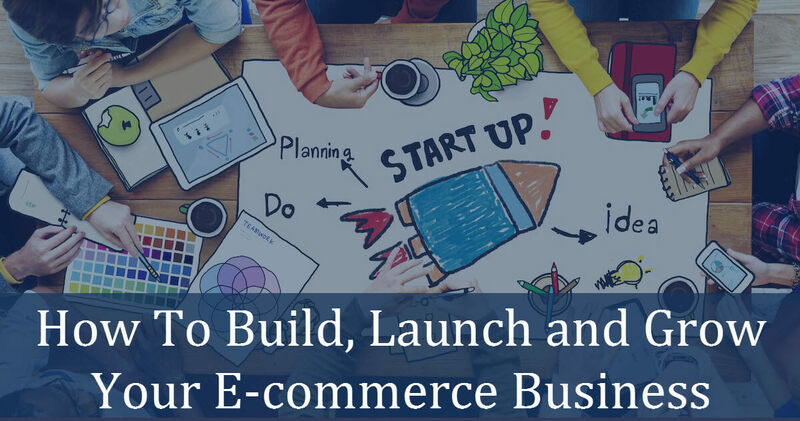 Well, this could just be the first step toward building a successful E-comm business as there can be other important things to run an E-comm business successfully like- choosing the right technology and how to digitally market your business. Just let us know here if need any help with setting up your E-commerce business and grow it.